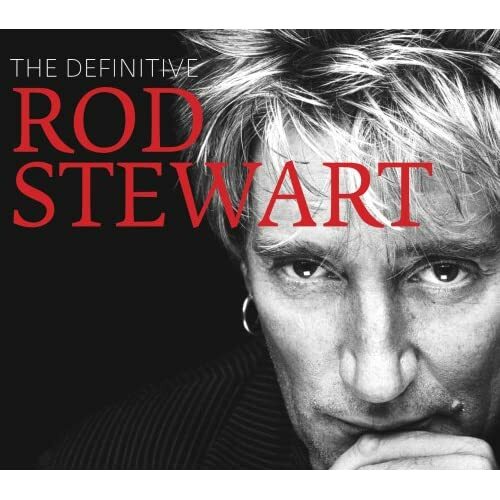 Rod Stewart week commenced and we featured a retrospective mix, his 1989 hit "Crazy About Her" and the previously-unreleased "Two Shades Of Blue" from the upcoming Definitive Rod Stewart CD/DVD collection. We gave away a copy of the set to newsletter subscriber Michael Yerick who entered via our email contest. We also ran long as we tried to do some justice to the performer's long, enduring and successful career. We don't say that lightly as he released 32 charting singles (in the U.K., U.S. and Germany) during the decade. When rock historians look back on this versatile vocalist, I hope they take notice that he didn't take many vacations. The chat room was pretty full and we again had some lively conversation that led towards a discussion on music marketing and what big artists need record labels for. Technically, all was sound. It felt like a rollercoaster going in from this side as we had many issues pop up beforehand cutting into prep time. We did set another record for total number of downloads for the week. And next week we hit another milestone for the show and throw a surprise or two out there.